Want to be the next featured member? Answer to participate. Questions? Please email Member Relations Manager LaToya Millet. What do you deem to be the most valuable part of ASCA's annual conferences? The most valuable aspects of the ASCA annual conference for me in my role as an ASC administrator are the regulatory updates and legal review sessions. Keeping current with a rapidly changing healthcare environment is an ongoing challenge and I rely on ASCA to highlight issues that may impact our operations. An ACLS [advanced cardiac life support] recovery room RN administers conscious sedation, monitors the patient and documents the patient’s vital signs and responses to the meds and the procedure. Her only duty is the patient. An OR RN circulates. In this circumstance, there should be both a sedation nurse and a circulating nurse. The individual performing the procedure needs to supervise the nurse delivering sedation, and that nurse has to have the requisite training. The kind of training would depend on the organization, but it’d be advisable for the nurse to be, at a minimum, certified in BLS and preferably ACLS. The nurse also needs to be not only within sight of the patient but maintain a constant awareness of the patient’s physiologic response to any medications administered and procedures performed. The sedation nurse should have no concurrent responsibilities, including serving as a circulator. This is a critical safety issue, not just a staffing issue. Which technology could you not do without at your ASC and why? Action Cue, risk management, quality monitoring, performance improvement studies and patient satisfaction. This one application manages four pillars of quality. Pinnacle is implementing continuous utilization of the application for the ongoing professional practice evaluation (peer review) at this time. Meaningful quality measures are data driven with a large library of measures to draw from and monitor. HCXperience—It’s a patient satisfaction surveillance with interface to Action Cue providing concurrent patient feedback. Policy Stat—A policy management application that we adopted in 2018 has transformed how we manage policies across multiple sites. Simple Admit--It expedites intake interview time. What is your ASC doing to counter the national opioid crisis? To facilitate a patient’s transition from the postop area to home without delay, ASCs often use less long-acting anesthesia and fewer opioids during surgery and the immediate postoperative period than hospitals. Toward this end, I am seeing more and more ASCs using adjunct pain relief methods as a matter of routine. Instead of waiting for pain to start in the post-anesthesia care unit (PACU), anesthesia providers often give doses of acetaminophen IV and other non-opioid medications to certain surgery patients at the end of the procedure in the operating room. Having been at the forefront for finding alternatives, ASCs have used creative ideas to combat pain because of the necessity for short stays and concerns for the safety of patients (i.e., not just loading them up with opioids and sending them out the door). ASCs also achieve effective analgesia using regional anesthesia techniques in conjunction with non-opioid therapies. These postoperative pain blocks give patients immediate pain relief that will wear off gradually over several hours, decreasing the need for opioids in the immediate postoperative period. Hospitals are less focused on these alternatives since patients will not be discharged home immediately postop. Non-medication remedies cannot be overlooked. Ice packs, positioning and positioning aids, breathing and meditation techniques and distraction should also be included in post-operative care and discharge instructions. We could not do without our detailed adherence to Patient Reported Outcomes Measures (PROMs) and the database we use to analyze the performance of our medication protocol. Providing alternatives to opioids is just part of the solution; engaging, educating and empowering patients to be accountable will be paramount in their experience and ultimately the success of their care. What method(s) does your ASC use to place orders for materials? Our part-time X-ray tech does most of the ordering. She walks around the center and checks volumes as we don't have tons of storage. Staff also emails her if they realize we need a special order or are short of an item. She orders primarily from Medline or the hospital distribution center. The consulting pharmacist orders all drugs. Front desk staff orders office supplies, such as coffee, paper plates, notebooks, etc. Two OR nurses are responsible for any podiatry or ortho implants. The director requests invoices and replace for all the neurosurgery implants as most are consigned. The system is somewhat fragmented but it works. We rarely run out of materials and so far have been able to get by without a materials manager. Does your ASC have a senior adult age limit or do you take all patients, no matter their age, if they pass the ASC health requirements? No one under two at present. Other than that, we have no limit on age as long as the procedure can safely be done at the center. Looking at last year, some of our patients were in their 90s. We were previously on a manual system, with assistance from IOL (intraocular lenses) companies that have an automated process. More recently, we have integrated the Hybrent software program and found it to be very easy to use and helpful. The next phase of that integration will be to marry Hybrent with Sage, our AP (accounts payable) and accounting software. Once fully integrated, we will have a seamless/electronic order placement, order tracking, invoice verification and approval process that is virtually paperless. We take patients of any age but a red flag immediately goes up for patients over 90. Those patients are reviewed by our anesthesia department well in advance and their status evaluated more fully for appropriateness. We have no age limits. In our facility, every patient is evaluated independently. Our highly engaged anesthesia team works diligently to keep our patients safe and our facility efficient. Our patients are evaluated onsite by a fully staffed pre-admit department prior to the day of surgery. The most current evidence-based protocols guide the evaluation and patient education prior to surgery. Our only age limitation is no patients under age two. What technological advancement has made the biggest difference during your career? Love it or hate it, an integrated practice management (PM)/electronic medical records (EMR) system is by far the greatest technological advancement in my career. I remember the days of pulling charts, piling them up and pushing them on a cart to the conference room for physician peer review. Same process for chart audits where I would have stacks of charts around my desk as I prepared reports on anything from pathology and surveillance reporting to implant tracking. Storing paper charts also was a headache. All that wasted real estate that could have been used for office space. Business office and medical records staff are now able to work on patient records, which are all at their fingertips. Yes, electronic PM and EMR software has definitely made the biggest difference in my opinion. How do you handle postop instructions with your patients? Do you do it pre-operatively/with a family member/send home written discharge instructions? We review postop instructions immediately before discharge with the patient and their caregiver (the person who will be staying with the patient during the first 24 hours of postop). A copy of the written instructions is given to the patient. All of our patients have bed rest following their procedures due to arterial access/achieving hemostasis. Their bed rest allows ample time for sedation recovery. 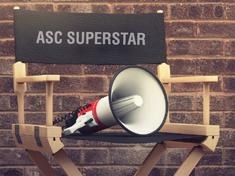 What hiring methods do you use to fill open positions at your ASC? Word of mouth and corporate website. Postop instructions begin at our facility with the preop phone call. During that call, we review with the patient specific needs that they would have after getting home from surgery, e.g., ice, dressings, pain medications and nutrition. On the day of surgery, the preop nurse reviews the discharge instructions with the patient and their significant other, if the patient so desires. We have the patient sign the discharge instructions in the preop area prior to any sedation. Prior to discharge, the postop nurse again reviews the discharge instructions with the patient and their significant other, and they are sent home with the written instructions. We have found that this three-fold approach works well. The more knowledge the patient has about his/her after care, the better their surgical experience. Newspaper advertisements and word-of-mouth through our nursing communities. Postop instructions are most effectively communicated using a variety of methods. We start discussing postop instructions with both the patient and family members from the moment they arrive at the surgery center. The instructions are reinforced throughout their stay in the facility and family members are handed a folder with complete, highlighted instructions as they leave the facility. We utilize both a skill survey and behavioral assessment tool prior to scheduling an interview. Interviews are conducted with the director, charge nurse and education specialist. Often, applicants are brought back for a second, more focused peer interview. At our facilities, we utilize a multifocal approach. Each age learns and interprets differently, and data shows that we need to hear things many ways to process, learn and retain the information. Teaching both the patient and family member in preop, prior to sedation and administration of any medication(s), and having the patient sign an understanding of the preop instructions is the most efficient method and meets appropriate medication administration standards. During the postop phase, after the patient is settled, has pain controlled and is in a position to review and hear the information again, the postop nurse reviews the instructions one more time. It is very important that with two nurses providing instructions they stick to the script and what the doctor wants, not interjecting personal stories or opinions of how care should be handled. If a patient hears the instructions 1) in the office during the initial discussion of the procedure, 2) in preop, 3) in postop, and then again, a day later during the postop phone call, there is greater chance that they hear and learn. Written documentation of postop instructions are necessary for accreditation and learning opportunities. Another opportunity to educate patients in by posting links on the ASCs website to the most common procedures with instructions on both preop and postop needs. This allows the patient yet another opportunity to get the information needed to be both prepared for the procedure and care after the procedure. Prior to filling positions, one needs to determine the true needs of the facility. Is this position pertinent to the ongoing operations? Can it be combined with another position? Do the current and projected volumes require this position be filled? Looking at different organizational structures and getting creative can sometimes allow a facility to realign job roles and utilize current staff. Best use of staff is to look at the current mix and the given skill sets. If it is a management position, is there staff in-house that could grow and utilize new skills to move into the roll? This helps promote positive culture and encourages the staff members to grow their skill sets and extend current comfort levels. Actual hiring needs to include a current and applicable job description, clear outline of real duties and expectations related to the person filling the role and a time frame needed to fill the role. It is never good or best for the facility to just fill the position with a body. Utilizing a team approach to interviewing allows staff and managers to be a part of the decision and ownership process. If the employee turns out to be not as successful as hoped or has trouble with orientation/culture, the team takes the responsibility of the decision, not just the hiring manager. The team approach also allows the culture of the facility to come through. The new employee gets a feel for the ASC and the type of environment he/she will be working in. All positions can be filled with the team interview approach. A director or administrator could then approve the staff’s decision before the governing board’s final decision. Utilizing all search engines for posting the position and, if needed, a consultant also is beneficial depending on the region and position needed. Posting and sharing on Facebook or LinkedIn often allows a facility to get the word out related to needs and is cost effective. Encouraging staff to spread the word about the opening to their network and utilizing a referral bonus for staff members who refer an individual that is hired is a good way to attract new employees. Preop: We do postop instructions in the preop area with both patient and driver. We inform them that the findings and associated instructions will be filled in after the procedure is completed. Postop: We walk into the postop room and document all information the MD shares with patient/driver. We document these on the discharge instructions and review all information with the family/driver. A carbon-copy is sent home with the patient. Follow up call at 24 hours postop: We follow up with the patient if they have any questions. Based on staff feedback and my assessment, I do a job offer. General postop instructions are introduced and reviewed with patient and care partner in the preoperative area. The postop instructions are reviewed again with patient-specific instructions and medication reconciliation in Phase II just prior to discharge. Printed copies are provided to patient at discharge. I like to have candidates interview with the leadership team first, followed--on the same day, when possible--by a peer interview. For each position, a peer interview team is selected from the entire ASC team by the entire ASC team. This peer team will interview all candidates for a specific open position. With leadership guidance, the peer team chooses specific interview questions that will be asked to each candidate. A rating system is attached to each question for the peer team to rate the candidates’ response to each question. Peer interviewers are asked to determine if this candidate should be recommended for hire, keeping notes on why or why not. Completed forms are held by the director of nursing until all candidates have been interviewed. After all candidates have been interviewed, the peer team compiles its results and presents its recommendations to the leadership team. After considering the voice of the ASC through the peer interview team, a decision is made by the leadership team and an offer is made. I have used this hiring process for more than 10 years and it has proven to be a win-win for my teams. When the team is active in choosing new hires, they take ownership to onboard the new employee as one of the team from the beginning. Complimenting the current team with new hires is success. How do you handle postop instructions with your patients? During our on-site pre-operative patient visit, patients receive specific instructions regarding post-operative pain, post-operative nausea and vomiting, bleeding and infection, both verbally and in writing. In addition to this, they also receive sample discharge instructions from both the surgeon and the anesthesiologist with the explanation that a personalized set of instructions will be provided to them at the time of their discharge. All discharge instructions are reviewed with both the responsible adult and the patient on the day of surgery, with written copies to go home with. All discharge instructions include a contact phone number, in case there are any questions. Any patient discharged with a pain pump or following any total joint replacement also has direct contact information for the anesthesia provider. What emergency preparedness protocols does your ASC have in place? Our center updates and trains our staff on several emergency preparedness protocols, including those for medical emergencies, fire, bomb threats, severe weather, active shooter/hostage situations, autoclave failure, electrical failure and medical vacuum failure. Our full emergency operations plan was developed by myself, our nurse manager and members of our nursing staff. We often have live drills to ensure that our staff knows what to do in any of these situations. How do you make sure that insurance reimburses you on time? You need to stay on top of them. After I bill a claim, I wait 1-2 weeks, then I call to make sure that they received the claim. If I have not received any denial or payment by 30 days after I sent the claim, I call again to check its status. If you stay on top of it, they will process it rather quickly. What are the top three things you do to maintain patient safety in your ASC? Utilize the patient identifiers in preop area before walking back to the operating room. Patient verification in preop requires a minimum of two patient identifiers to confirm identity and for patient safety. The OR circulator will ask for the patient’s name, DOB, physician, and what procedure they are having done. Perform a surgical time-out before and after surgery/procedure to assure patient safety and better patient outcomes. This guarantees all members of the surgical team are aware of the potential risks, and share any thoughts to the group. This develops a patient-centered environment and safety culture. Maintain on a regular basis operating room staff competencies. Copper Ridge Surgery Center maintains staff competencies by performing scenario-based fire and other safety related drills on a quarterly basis; providing annual in-service training on specialized equipment; and utilizing professional organizations to enhance and maintain competency through continued education or networking. It is important to stay up-to-date and current on industry standards. What is the best part about attending an ASCA annual meeting? The ASCA annual meeting is my go-to meeting for high-level insights to our industry. It all starts with Bill Prentice and his slate of speakers, including some of the board members, who talk about what the government is doing, how it is affecting our industry, and what we should do in response. Other speakers, many of whom are professionals from our field, speak on a wide variety of timely topics. These topics include issues that are in the forefront and ones that everybody needs to be learning about. I frequently have a hard time deciding which sessions I need to go to because they are all so informative and useful. On the exhibit floor, the vendors always have the newest and the best products and show us where the trends in the industry are going. I can see what's new and smart technology-wise. The interaction with colleagues from across the US is priceless. Learning from others how their centers address issues is a result of networking at its finest. This is great value for the money! Copper Ridge Surgery Center sends three to four of our leaders every year, and we always come back with pertinent information to share and new ideas to research for their applicability to our center. What key advocacy issue is your ASC most concerned about? Adoption of SaaS (software as a solution) selected by corporate across our managed ASCs. ASCs are sadly out of step in this regard and are underutilizing what’s available in the market place to streamline, and enhance business operations. Pinnacle has been progressive and using many software applications, which has created greater standardizations across our organization. We have all our policies contained within a software application. We also use a software solution for administering our quality management program, which includes risk management, KPIs and performance improvement studies, and patient response in terms of their consumer experience. We use another software for patient progression, similar to airlines flight boards. This allows guests waiting and inter-departments to know just where a patient is and when they will be transferred to the next area, like PACU. So now, instead of picking up the phone and notifying the nurses, it’s all automated. This same application also allows for requested physician-preferred items to be synchronized in communication between the surgeon, OR nurse and the health care rep, eliminating multiple phone calls to coordinate delivery. We also manage safety data sheets and core competency for staff education, such as OSHA, HAZMAT. These have improved our rate of compliance by using software applications. What steps does your ASC take to ensure patient satisfaction? Service excellence and patient satisfaction are measured at our center three ways. We participate in the OAS CAHPS survey, perform director- and AVP-level patient and family rounding prior to discharge to ask how their visit was, and we hand out comment cards to every patient for every visit to get input on how we can improve their experience. This information is shared quarterly to our quality oversight committee, which consists of the medical director, AVP and VP. Patient satisfaction starts with hiring the right team! Hire winners, not whiners. Next, you have to take care of the team because they are the first people your patients encounter. This starts with the first phone encounter the patient has with us and ends with the postop phone call. Satisfaction scores don't tell the whole story, so we look at each patient comment to see what we can do to improve. Happy employees and surgeons leads to high patient satisfaction. Name of ASC: Practice Partners in Healthcare, Inc.
What is the single most important step to maintain quality in your ASC? The entire team must be focused on driving best practices for achieving safe patient and optimum organizational outcomes. This team is represented by dedicated interdisciplinary stakeholders from operational and clinical leadership, physician and allied health providers of key specialties, perioperative and perinanesthesia nurses and technical staff members, and other identified service suppliers. Effective strategies to support timely communication and ongoing best practice education throughout the team is paramount in achieving goals and objectives and implementing meaningful actions for success. This is the foundation of a well-engineered quality improvement and patient safety program with goals, objectives and strategies focused on continuous improvement. I believe that as a director, whether a nursing director or an executive director, staying in touch with staff, doing daily rounds and offering high-quality patient care are crucial steps. Empower and trust your team to do the best possible for the patients and let them know that they have a voice. Keeping your eyes on the facility and feet on the ground will allow for problems and opportunities to be visualized and acted upon. At CSSA, we believe in a shared governance management style. CSSA, being a small center (2 OR/2 proc. room), we do not make numerous decisions without first consulting our “leader” of the area being affected. Through this transparent style of management, we hope to promote an “ownership type mentality” in our employees. For instance, we are using several different clinical metrics to set and obtain our annual goals. By involving our employees in metrics and goal setting, a feeling of “ownership” or getting what they want out of their environment is created. Secondly, by using this process, you can use their goals and metrics with a performance-based type evaluation and bonus system. The ultimate goal is to eventually release the employee into creating effective surveys, performance indicators and goals for their individual areas. Once accomplished, the success of your employees and their created positive trends will pass down to an increase in excellent service for your patients. Maintaining employee engagement! We have three different age groups in our work force now, Gen X, Gen Y and the Millennials, collectively referred to as the Connected Generations. We have to take into consideration each of those generation’s needs to keep them engaged. If we don’t keep them engaged, they will move on to places where their goals are being met. If you have constant turnover in staff, your quality of patient care will suffer. To make sure Pend Oreille Surgery Center is taking care of our employees’ needs, we’re totally revamping the way we approach human resources. We’re meeting with our employees one-on-one to ask questions and make sure that their work-life balance is maintained. We’re changing our evaluation system and making them shorter and less time-consuming. We’re trying to stay on top of how work is being done so we can keep our employees engaged. What new payment method is your ASC currently using or looking to implement in the near future? We are constantly looking at our billing practices to make sure that we capture all items that are billable. Using EPIC and OMNICELL, we are assuring better capture of items where applicable. Our business office constantly works with our surgeons' offices to find ways to improve upfront collections for out-of-pocket expenses, using Care Credit, MedDraft and other options to help patients with high deductibles and coinsurances. We have also implemented various self-pay options for those without coverage with discounts when appropriate or allowed in accordance with our various insurance contracts. There are no ACOs currently in our market, although we have utilized bundled payments through some insurers in the past. All have stopped that practice now. What new payment method or process is your ASC currently using or looking to implement in the near future? Mankato Surgery Center has implemented estimate courtesy calls to all commercial payer patients. This helps our patients become aware of their health care coverage and creates transparency on our end on the cost of their procedures. Since the ASC surgical procedures are generally elective, we feel involving our patients with their health-care expenses ahead of time has been successful. It allows the patients to understand what they will owe the ASC. The patient feedback has been positive from those choosing to call their carrier for insurance coverage for their upcoming surgical procedures. We utilize CareCredit. Patients who need to have procedures done and cannot afford to pay out of pocket or have high deductibles may use this service to have their procedure performed immediately. Often times, this service may be interest free. Share a best practice your ASC uses to ensure compliance with the changing regulatory guidelines. We rely heavily on the resources ASCA and our state association provide to keep us informed on changes in the regulatory guidelines. In the 23 years we have been open, we have always sent staff and managers to the ASCA conferences and, more recently, the ASCA webinars have proven invaluable in helping us keep on top of things. Our staff attend webinars, seminars and conferences focused on new/modified regulations and how to meet them. They participate in listservs at the national and state level to share information and learn how others implement and meet guidelines in their centers. They also review and provide input on new or revised policies and procedures directly related to what they do daily. I think our staff's active participation is key to compliance. We also follow ASC-specific newsletters/publications put out by the accrediting bodies and other ASC-focused organizations. We belong to ASCA, Association of periOperative Registered Nurses (AORN), Society of Gastroenterology Nurses and Associates (SGNA), Association for Professionals in Infection Control and Epidemiology (APIC) and our state ASC association. We receive information from these organizations regularly on how to apply the regulations and the standards of the Centers for Medicare & Medicaid Services (CMS).